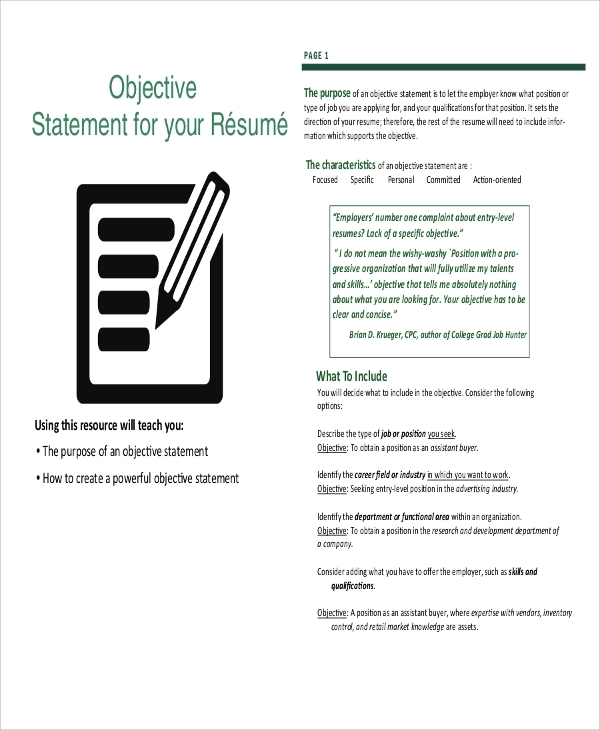 A Resume Objective Statement adds a particular purpose to your resume. When you apply for a particular job, the resume is to be directed for a specific purpose. 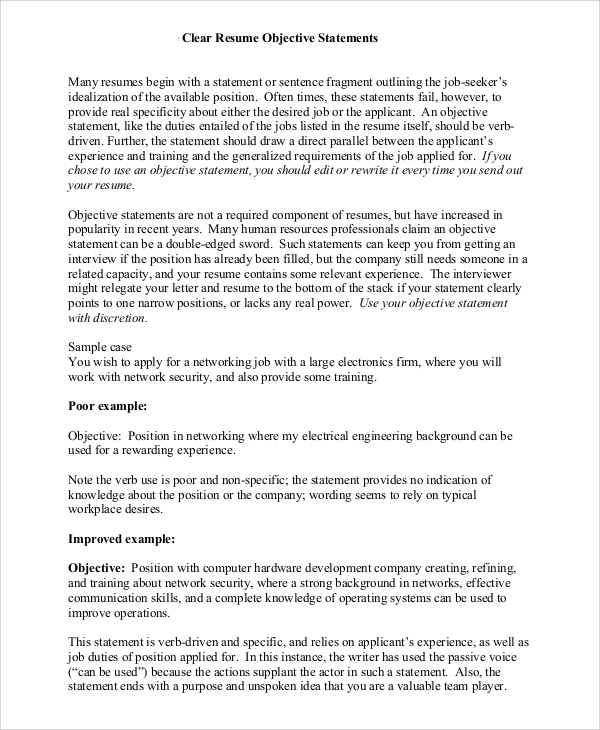 A resume objective statement defines the purpose for which you are applying for a job, indicating the responsibilities that you are comfortable with. It makes the resume goal-oriented and precise. In a nutshell, it helps the recruiter to understand what type of job you are looking for. 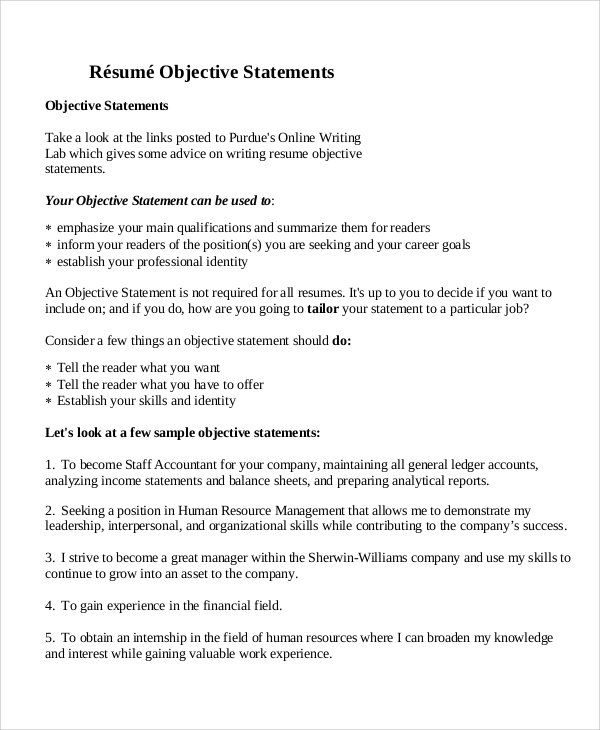 Here are some common Sample Resume Objectives that you might find interesting. These Resume Objective Statements present a clear format containing the name of the industry, position, specific department and related information. The organizational skills and objectives are presented with clarity and precision. 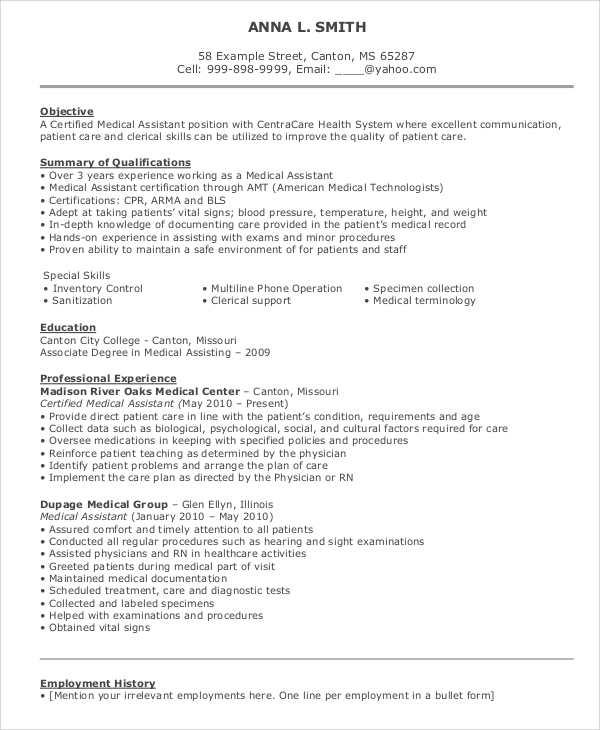 Professionals seeking jobs in the medical industry use target-oriented resumes with the qualifications and abilities at the top. Bullet points are used for the formatting of the document. This makes the qualifications conspicuous. Here the key skills are summed up at the top. The strengths, profile, and qualifications are sequentially summarized after these skills. A combination of paragraphs and bullet points works out well. 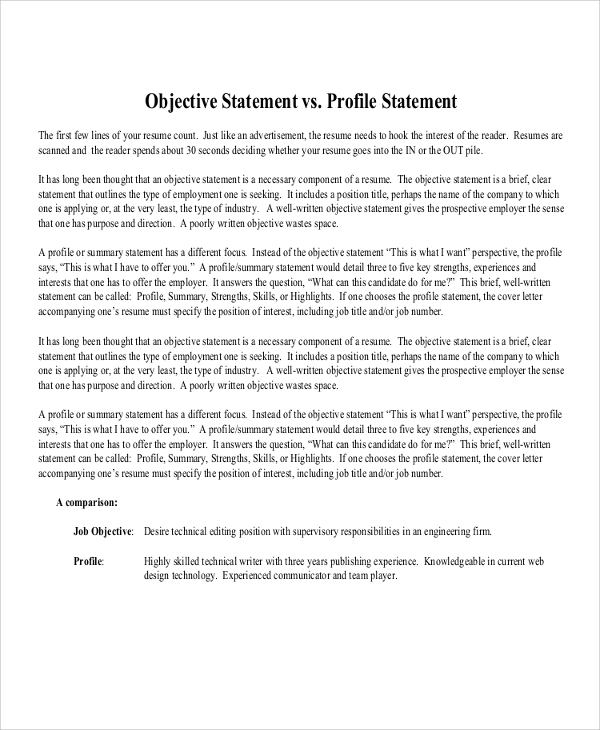 What are the Goals of a Resume Objective Statement? A Resume Objective statement helps a person to be more focused. It leads the resume to be more purpose-centric. It prevents misinterpretation in understanding the purpose of the resume. The document contains specific information on the academic qualifications of a person. The abilities and skills are brewed up in a few words to cast a strong impression about the candidate on the recruiter. It makes the resume more action-oriented and justifies the relevance of the resume. These documents make the resume action-oriented and professional. The functional area, department and geographic specifications are also included in these documents. These are customizable according to specific industries. In this document, the qualifications are summed up in different categories like customer service, merchandising, administrative duties and so on. A brief educational and employment history can be diplomatically included here. 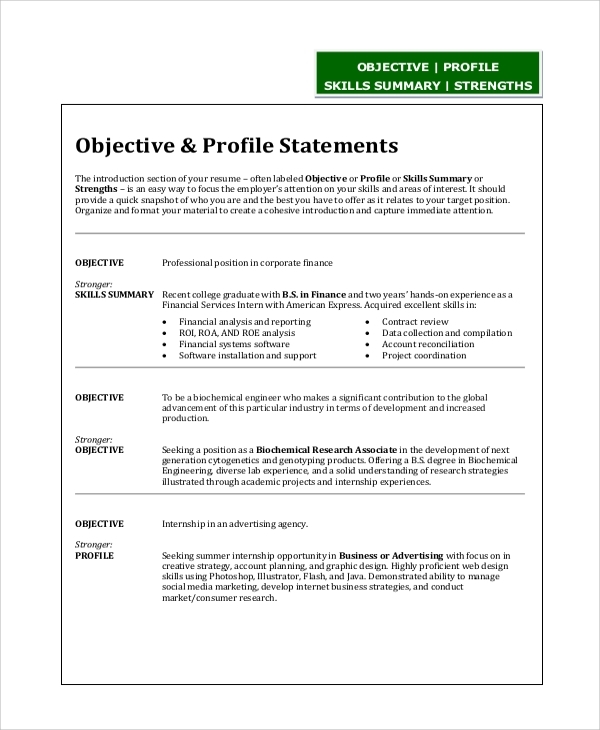 The Career Objective, professional skills, specific industry and other details are included in this template. There are separate paragraphs dealing with these aspects, followed by bullet points to highlight the skills. 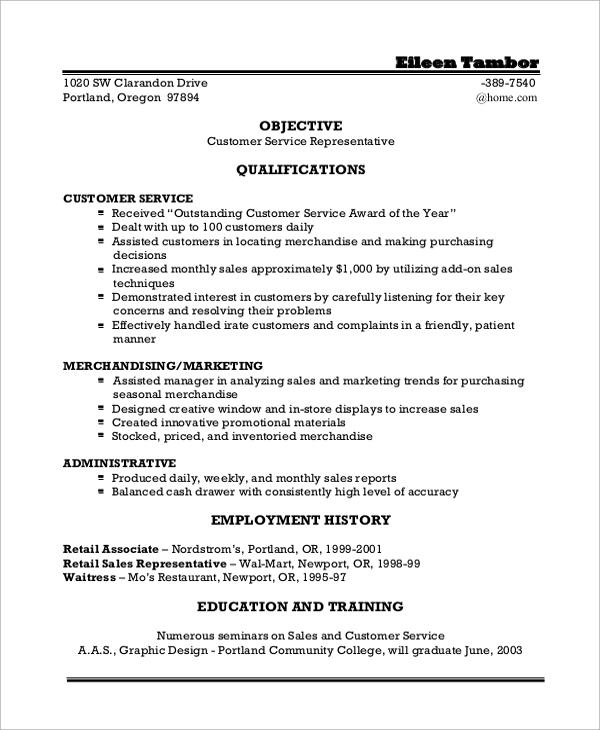 How to Make the Resume Objective Statement More Effective? To make the Resume Objective Statement more efficient, you need to make it tailored for specific jobs. For instance, each industry has a particular employee profile. Avoid using generic materials for every job you apply for. The best way is to analyze the requirements of the recruiter and set your resume as per those lines. Getting a job is a challenge and you cannot afford to be vague with the objectives. State your skills and abilities with absolute clarity. Keeping the document targeted and concise helps you to market your skills effectively. In a nutshell, the objective promotes your career in the right direction. When you apply for a specific job, you need to be specific with the goal. This makes the recruiter inclined to your resume, and he goes through the entire contents of the document. 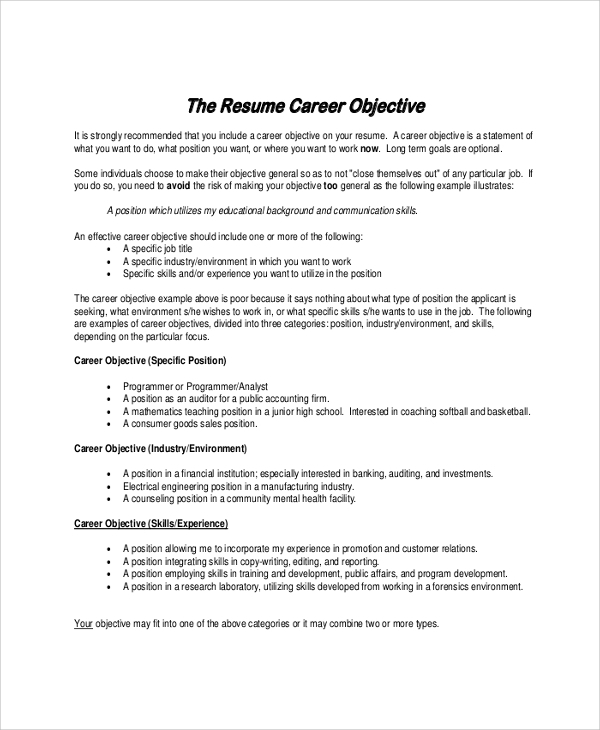 There are different Resume Career Objectives on the website, and you can check them out. These can be tailored for specific industries and positions.